Direct international flights to Okinawa are available from Seoul, Busan, Taipei, Hong Kong, Shanghai, and Beijing. Domestic flights to Okinawa are available from all major cities in Japan. Your hotel concierge can call a taxi for you or arrange for a hired car. 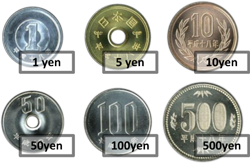 The local currency is the Japanese yen. Most stores will not accept any other currency. For shopping and dining, payment by credit card is generally accepted throughout Japan, but some business, especially smaller establishments, require payment in cash. VISA and MasterCard are the most commonly accepted card brands. 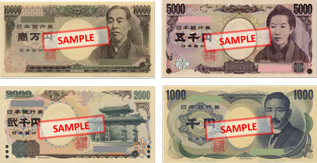 Unfortunately, many ATMs are not equipped to accept cards issued outside of Japan. Please consult your hotel concierge or card issuer website for help locating an international ATM. ATMs at most Japan Post locations accept all VISA and MasterCard credit and debit cards. Tipping is not customary in Japan. It is not necessary to tip taxi drivers, wait staff, or hotel staff. Okinawa in November remains warm, with lows of around 16 degrees at night, reaching up to about 29 degrees during the day. Light clothing is ideal when venturing outdoors, but be prepared for chilly mornings and evenings, and for the possibility of strong air conditioning in some rooms and restaurants. Dressing in layers and carrying a sweater or light jacket is always recommendable. The standard electricity supply is 100 volts, provided from A-plug (US style) two prong outlets. Tap water is safe to drink, but bottled mineral waters are available at most hotels and at any convenience store or supermarket. Japan Standard Time (JST) is 9 hours ahead of Greenwich Mean Time (GMT +9). There is no daylight savings time in Japan. All participants are advised to ensure they have medical insurance coverage before traveling to Japan. In case of a medical emergency, English speaking doctors and medical staff are available. APTS 2017 doesn’t accept any responsibility for any loss, damage or injury of any kind which may arise from cancellation of, participation in, or registration for APTS 2017. Participation in all organized events is at the participant's own risk. As registration fees do not include insurance coverage of any kind, attendees are strongly urged to ensure they have sufficient coverage for all eventualities, including travel and trip interruption insurance.